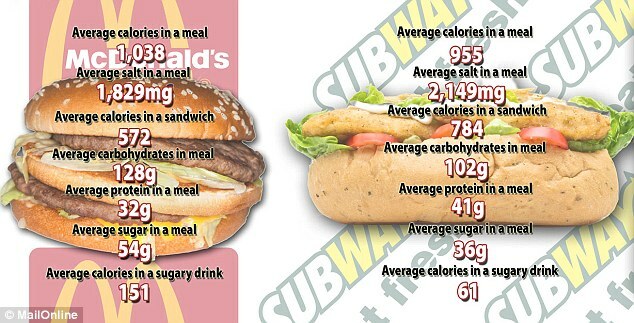 Do you know how many calories are in that fast food meal? Results of a study published in the BMJ last week indicate that many consumers underestimate the number of calories they’re consuming when they eat at fast food restaurants. Researchers approached customers exiting fast food restaurants and asked them what they’d eaten and how many calories they thought that they had consumed. They then determined the actual number of calories consumed by accessing the nutrition information posted on the company websites (more about this to follow). It was found that, “At least two-thirds of all participants underestimated the calorie content of their meals, with about a quarter underestimating the calorie content by at least 500 calories.” The average caloric estimation was under the actual caloric content by about 175 calories. 175 calories may not sound like many but that can add-up pretty quickly. Especially considering that many people eat fast food on a regular basis. Unfortunately, the best statistic I could find was from the 2004 Overview of Canadians’ Eating Habits which indicated that on the day before the interview 1/4 of all respondents had consumed something purchased at fast food restaurant. I would also argue that these caloric estimations may be even less accurate than they appear. 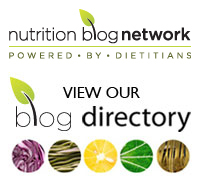 Nutrition information posted on restaurant websites is notoriously inaccurate. While it tends to be even worse for non-fast food outlets as chefs and cooks may be more inclined to take liberties and portions are less controlled, it’s still often the case that the calories posted for fast food items are optimistic. They’re going to use the best case scenario and try to portray their food in the best light possible. The authors conclude that including caloric information on menus might help to improve consumer estimation of calories. Beyond this, I think that this study should serve as a reminder that you’re never in control of your food unless you’re preparing it yourself. Always assume that you’re eating more calories than you think that you are when you eat out and try to prepare as many of your meals as you can at home. Tags: caloric estimation, calories, cooking, fast food, healthy eating, menu labelling, nutrition | Permalink.